SOS Children's Village Gammarth was created in 1983 not far from the historical site of Carthage. 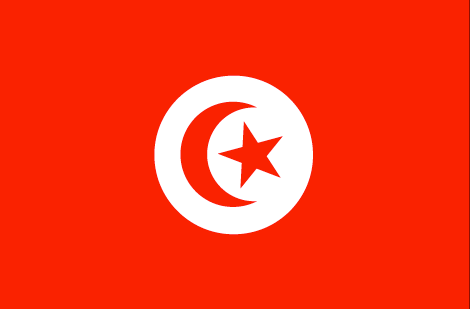 The town of the same name is about 17 km from Tunis, near to La Marsa, in the northern suburbs of the capital city. The old town, which consists of scattered settlements, can also easily be reached from Tunis by bus. SOS Children's Village Gammarth was built in a typically Arabian style on two hectares of land in a former olive grove near to the centre of the village. After it was opened in November 1983, it was only officially opened on 22 March 1984 in the presence of Hermann Gmeiner and Mrs Wassila Bourguiba, the wife of the then President. A total of 80 children can be cared for in the ten family houses, who can make use of a multi-purpose hall and a sports ground as well as the above-mentioned children's club and library. The village director, the aunts and guests all have their own house and all of those who live in the SOS Children's Village have the same right to use the administration and service area that are available. A small training centre was also created which also has six rooms where people can stay the night. The affiliated SOS Kindergarten opened at the same time as SOS Children's Village Gamarth and has been available for 90 children since then (also those from neighbouring areas). The children are divided up into three group rooms according to age and are cared for by trained kindergarten teachers. The facility has a rest room, a dining area, an office and a playground in which the children can play on climbing frames and swings or simply run around. So as to familiarize the young people who are reaching the age when they will leave the facility with the independent life that they will lead as much as possible, flats have been rented since 2002, in which the young people are only supervised by one caregiver and have to learn to have increasing responsibility for their time. For the young people, admission into an SOS Youth Community is an important step which looks to the future, for which the SOS mothers, village directors and psychologists carefully prepare them. Young people stay in an SOS Youth Community for about four years, but those who are still receiving education or are looking for work can stay for longer.